TAIPEI, Taiwan, May 17, 2015 (ENS) – The Taipei District Court has ruled in favor of former assembly line workers employed between 1970 and 1992 at the now-defunct electronics company Radio Corporation of America, or RCA. On April 17, the former U.S. company was found to have dumped toxic waste at its Taoyuan factory in northern Taiwan, polluting the soil and underground water. Described as the worst industrial disaster in Taiwan’s history, the pollution led to alarmingly high reports of cancer among the RCA workers. RCA was an American electronics company in existence from 1919 to 1986. General Electric took over the company in 1985 and split it up the following year. 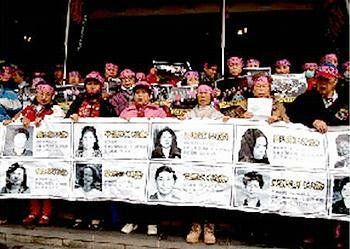 Statistics show that by the time the RCA workers filed their civil lawsuit in 2004 against RCA and its parent companies – General Electric of the United States and Thomson S.A. (now Technicolor S.A.) of France – more than 1,300 former RCA employees from the Taoyuan factory had cancer. By then, 221 of them had already died, and the death toll has increased every year since. The court ruling awarded NT$560 million (US$18.2 million) in damages to 445 former RCA employees in Taiwan, about one-fifth of the amount that the RCA Self-Help Association sought. Han-Wei Chou, one of the leading lawyers representing the former RCA employees, said the court decision helps bring justice to the RCA victims, if only partially. It also helps to provide a deterrent to environmental infractions and workplace safety violations. RCA came to Taiwan in 1969 to produce electronic parts for televisions, employing more than 30,000 people at its peak production. Most of those on the production line were women from poor families. Workers were required to use organic solvents, including trichloroethylene and tetrachloroethylene, to clean printed circuit boards. Both chemicals are classified as Group 2A carcinogens by the International Agency for Research on Cancer, which means that they are probably carcinogenic to humans. These agents can enter the body through inhalation, skin contact, and ingestion. Without any warning or training from RCA, the workers breathed the volatile solvents in the air of the factory, which had almost no ventilation. In the manufacturing process, they touched the chemicals with their hands, covered only with cotton gloves. “During my time at RCA, we were often exposed to organic solvents. No one ever knew that the substances were hazardous to our health,” says Huang Chun-tiao, 56, diagnosed with nasopharyngeal cancer after working at RCA for 18 years. For a long time, RCA discharged the waste organic solvents onto the ground and dumped the chemicals into the wells near the plant, polluting the surrounding soil and aquifers, the workers say. Workers living in the factory dormitories were so unaware of the danger posed by the chemicals that they used untreated water pumped from the same ground where RCA had dumped waste solvents for drinking, washing and laundry. Between 1996 and 1997, GE and Thomson spent NT$200 million (US$6.5 million) for soil and water cleanup, removing 10,000 cubic yards (7,600 cubic meters) of soil and installing municipal water treatment facilities for the neighboring communities. But despite the remedial effort, there was no significant improvement in the groundwater. In 1998, the Taiwan Environmental Protection Administration confirmed that the area where the plant located was designated a permanently polluted zone, the first case of its kind in this country. The RCA case has brought to light many loopholes in Taiwanese laws and regulations. 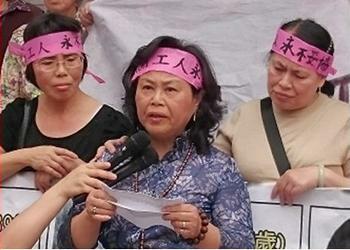 “Before the RCA incident, Taiwan lacked effective laws and environmental regulations,” says Chou. At that time, the Taiwanese government was not adequately prepared to deal with matters involving environmental protection and occupational hazards. It was not until 2000 that Taiwan enacted the Soil and Groundwater Pollution Remediation Act and established the “polluter pays principle” to deter violators. The RCA case also led to the revision of the labor insurance regulation to make breast removal eligible for disability compensation, an advance for the rights of Taiwanese female workers. Yet although the court has ruled in their favor, it is possible that the workers may never be able to attain compensation. When their team of Taiwanese attorneys applied to the courts to provisionally seize RCA’s assets for investigation, they found that RCA had already transferred its assets out of Taiwan. This occurred between 1996 and 1997, around the same time that the company was held accountable for the cleanup. “It’s the worst case of cancer cluster in the world caused by the high-tech industry,” says Ted Smith, founder and former Executive Director of Silicon Valley Toxics Coalition, a grassroots environmental coalition formed in 1982 in response to environmental pollution caused by electronics manufacturing in Silicon Valley, California. “Globalization is still new enough where these conflicts haven’t been worked out before,” says Christine Rosen, associate professor at University of California, Berkeley’s Haas School of Business. She said that it may be difficult for the Taiwanese workers to file a lawsuit in the United States because the allegations stem from abroad. The judicial system may not always be the last line of defense for justice, but without which the truth may be buried. The workers of RCA, who have been fighting for 17 years, are not going to let that happen. “Voices That Refuse to Be Forgotten,” an oral history of the event, was published in 2013.